The Bear, Oxford, OX1 4EH. 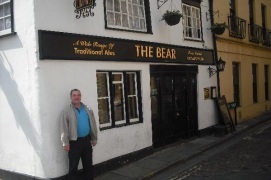 The Bear pub review, map and rating. Great little place. nice scrap of land for a garden. beer was good but had better. nice crowd of people but couldn't see myself getting carried away.